What We Like About BIO IONIC Whisper Light Pro & Panasonic Ionizing Low-Noise EH5306P? Both are lightweight and they have ergonomic handles which makes it easy to hold the hair dryer. Both control frizz and they leave your hair smooth & shiny. Both have removable nozzles making it easy to clean them after use. Panasonic EH5306P’s handle is fold-able making it easy to carry. Elimination of any rude-awakenings in the morning: if you live with someone else at home, they probably don’t want to hear you dry-up hair in every morning while using a hairdryer. So, using a quiet hairdryer will help to eliminate any noise that may wake-up other people in the house yet you will be able to style-up your hair perfectly. Decreased risk of hearing-loss: long-term exposure to sounds that over 80-decibels is harmful to your hearing. Additionally, overexposure to noise can add-up if you frequently blow-dry your hair. So, getting a quieter hairdryer will help to reduce on the risk of hearing-loss most especially if you use hairdryer for 20 to 30 minutes daily. You will be able to hear yourself and other people taking: with a hairdryer with reduced noise-levels, you will be able to have conversations with any other person in the house easily. in fact, you won’t have to turn-off the hairdryer inorder to talk to someone else and a quiet-hairdryer is actually a great option for ladies with babies who need their attention most especially in the morning. It makes you feel calm and peaceful: a quiet hairdryer will actually allow you to start the day in a nice, peaceful and calm way while styling and drying-up your hair. in fact, loud-noise can distort your brain and make you sad and unhappy especially in the morning when you have just woken-up. REASONS WHY WE RECOMMEND IT:– (1)Extremely quiet, (2) Lightweight, (3)Premium design, (4)Excellent performance, (5)Dries hair faster, (6)Saves you from ear loss, (7)Powerful motor, (8)Ergonomic handle, (9)Fast drying, (10) 1400 Watts, (11) NanoIonic mineral hydrates dry – damaged hair, (12) Smoothes fly-aways ,Controls frizz, (13)Makes your hair smooth & shiny, (14) Select desired level of heat & speed. No: 2 Editors Choice Panasonic Ionizing Low-Noise IONITY Hair Dryer EH5306P – Check price on Amazon – WHAT WE LIKE:- Affordable, Low noise hair dryer, Distributes heat evenly, Foldable handle makes it easy to travel with, Removable nozzle, Maximum of 100 volts, 1200 watts, No problem drying long hair. No: 3 Editors Choice – Whisper Quiet Lite Hair Dryer – Check price on Amazon – WHAT WE LIKE:- Quiet motor, Ceramic tourmaline ionic technology reduces drying time while leaving your hair smooth & shiny, 4 temperature settings, Cool shot button, 2-speed settings, Short handle makes it easy to hold for longer hours, Frizz free hairdryer, Lightweight, Removable filter, 9ft power cord, Maximum powered motor delivers ultimate drying experience. No: 4 Editors Choice – Panasonic Low-Noise IONITY Hair Dryer EH5305P – Check price on Amazon – WHAT WE LIKE:- Fast drying and quiet, 1200 Watts, 110 volts, 67 inch cord, Premium design, Hot and cool settings. No: 5 Editors Choice – JINRI 1875W Lightweight DC Motor Low Noise Hair Dryer – Check price on Amazon – WHAT WE LIKE:- Negative Ionic With Cold Shot Button, 2 speed (High-Low-Off) & 3 Heat Settings, Concentrator and Diffuser, Lightweight, Passed ETL and ROHS certification, Ergonomic handle, Removable stainless steel filter, 1875 watts, Leaves hair shiny and smooth. Dual Air-flow: a hairdryer with a dual air-flow actually works more efficiently than hairdryers with regular airflow. In fact dual air-flow hairdryers ensure a smooth airflow while reducing on operational noise thus leading to optimum hair-drying results. Decibel Noise-Level: high-end hairdryers that are equipped with advanced-technology can actually operate at as low as 10 to 30 decibels. So, when looking for a quiet hairdryer always consider getting the one that produces less than 40-decibels in terms of noise. However, most manufacturers are not required to publish the noise-levels of their hairdryers and this isn’t a good thing. Mid-range wattage: quiet hairdryers usually feature mid-range wattage of about 1400 to 16000 watts. However, today there are many hairdryers with 1875-watts that are quiet in performance but these are usually high-end hair-dryers. An AC-motor: An AC-motor actually helps to reduce on the noise-output from the hairdryer and that’s why it’s recommended to get a good-quality hairdryer that is equipped with an AC-motor. However, AC-motors are bit heavier that DC-motors which is actually a great drawback. A cool-shot button: a cool-shot button will actually allow you to lock-in your style while drying hair at an ultra-cool speed. In fact, hairdryers tend to operate more quietly after pressing a cool-shot button. Negative ion generation method (corona discharge method). An Ionic Low-Noise hair dryer. Air flow: 1.1m3 (min turbo-dry function). the Panasonic IONITY Hair-Dryer EH5305P-T Brown is a low-noise hair-drying appliance that has been equipped with a powerful 100-volt AC-motor that is capable of keeping the hairdryer running for longer-hours inorder to achieve optimum hair-drying results. In fact, this hairdryer features a 2-stage switching whereby it can be switched between 1200watts or 600watts while under operation. On the other hand, this hairdryer uses the corona discharge method to produce negative ions over hair and this actually helps to dry-up hair faster from the inside-out while ensuring optimum hair smoothness and shine. On top of that, the turbo-dry function helps to dry-up hair quickly at room-temperatures of about 30 ℃ with an air-flow rate of 1.1m3. All in all, this is a great, high-performance and quiet hairdryer that will let you accomplish your hair-drying needs in a short period of time. Low-noise: the Panasonic EH5305P-T is actually a Low-Noise IONITY Hair-Dryer whereby it uses the corona discharge method to dry-up and this actually helps to reduce on the noise-levels of the hairdryer. In fact, the Panasonic Low-Noise IONITY Hair Dryer EH5305P-T is perfect appliance for salon and home-use because of its silent operation when drying-up hair. It dries up hair faster: the Panasonic Low-Noise IONITY Hair Dryer EH5305P-T actually uses the negative-ion generation method to dry-up hair from the inside-out thus leading to a faster hair-drying time while making hair shiny and smoother. It eliminates static within hair: since the Panasonic Low-Noise IONITY Hair Dryer EH5305P-T uses negative-ion technology to dry-up hair, this will actually help to eliminate any static within your hair during the drying-process thus making hair soft, smooth and shiny. An ergonomic and foldable handle: this hairdryer also features an ergonomic that is very easy to hold even when drying-up hair for longer-hours because it helps to eliminate fatigue within your hand. In fact, this handle is foldable inorder to make the hairdryer portable-enough to fit into a small storage-bag hence making it a perfect appliance for travelers. 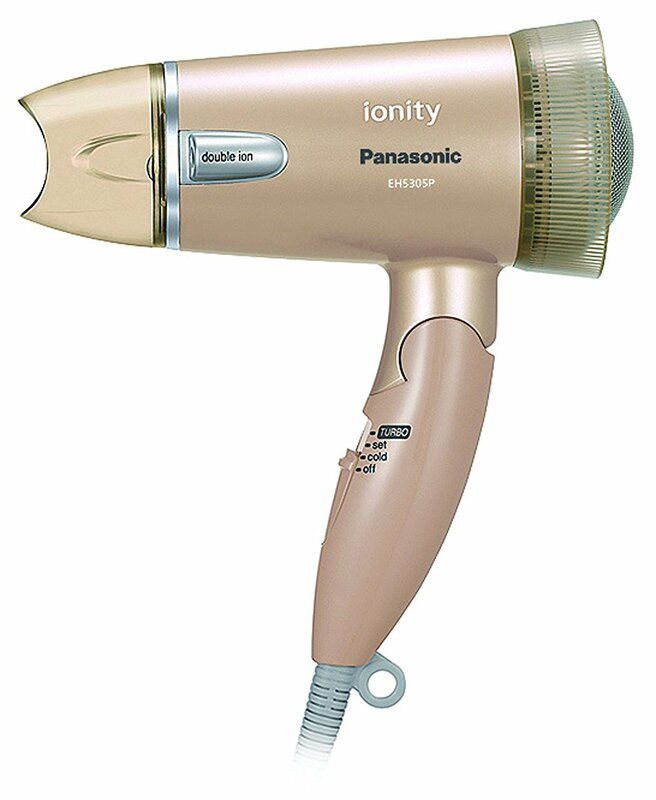 A high-performance 100volt AC-motor: the Panasonic Low-Noise IONITY Hair Dryer EH5305P-T features a powerful 100volt AC-motor that is capable of operating constantly and efficiently when blow-drying hair. In fact, the voltage of this hairdryer can even extend to 110volts and 120volts inorder to facilitate for international usage. A 2-stage switching: this hairdryer also features a 2-stage switching whereby it can be adjusted between 1200watts or 600watts depending on the amount of power need when drying-up your hair. It’s lightweight: the Panasonic Low-Noise IONITY Hair Dryer EH5305P-T features a lightweight design whereby it weighs only 450grams and this implies that you can easily hold the Panasonic EH5305P-T for a longer period of time when drying-up your hair. It’s durable and nice-looking: the Panasonic Low-Noise IONITY Hair Dryer EH5305P-T actually features a nice-looking, solid body that makes it very durable and capable of lasting for years even with regular usage. Low-wattage: this hairdryer only features 2-wattages whereby the highest is 1200watts. This implies that it may not have enough power to blow-dry thicker and longer hair in limited period of time. 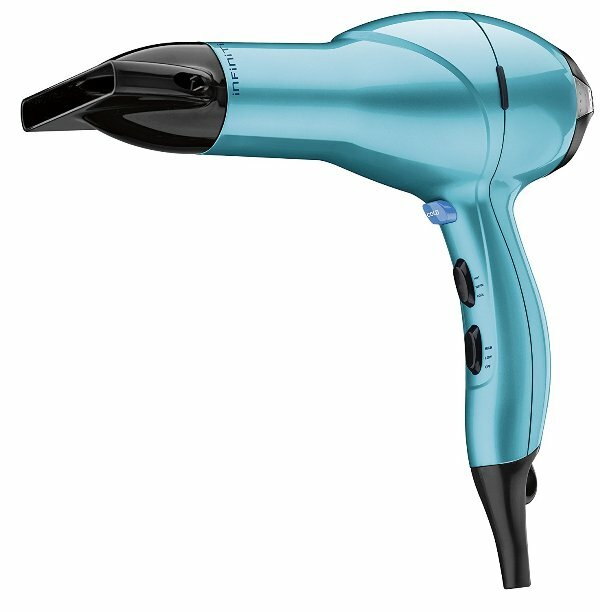 In fact, you may take a longer period of time to completely dry-up your thick and long hair when using this hairdryer. It doesn’t include a diffuser-attachment and other nozzle-attachments: the Panasonic Low-Noise IONITY Hair Dryer EH5305P-T is actually low-end hairdryer and does not include a diffuser-attachment or any other nozzle attachments for styling-up long and thick hair. Turbo Ionic and Infrared technology. A 9 Foot Cable or power-cord. 3 Speed and 3 Heat Settings. A removable air intake grille (lint-filter). HSI Professional Hair Dryer D-5000 was designed to provide every woman with a fabulous, salon-style blow-drying experience while at home. in fact, the HSI Professional Hair Dryer D-5000 is equipped with a powerful 18575watt AC-motor with Ceramic-Tourmaline Technology inorder to help dry-up hair faster while keeping it shiny and healthy. On the other hand, this hairdryer features 3 heat-settings that enable the user to choose a preferred hair-drying setting depending on their hair-type while the cool-shot button enables the user to dry-up hair using only cold-air hence eliminating the negative-effects of using heat to dry-up your hair. Additionally, the removable air-intake grill (lint-filter) helps to prevent the hairdryer from over-heating during usage and it can also be easily removed and cleaned inorder to keep the hairdryer in a great condition. The HSI Professional Hair Dryer D-5000 is also equipped with an ergonomic-handle that is super-comfortable to hold while its lightweight design and quiet motor facilitate for long-term usage since they eliminate hand fatigue and destructive-noise. all in all, the HSI Professional Hair Dryer D-5000 dries hair 60% quicker than any other normal hairdryer because its integrated with Turbo Ionic and Infrared technology while the included nozzle-attachments help to direct and concentrate airflow over your head while blow-drying inorder to enable you achieve a style you want. It dries up hair 60% quicker: the HSI Professional Hair Dryer D-5000 actually dries-up hair 60% quicker than any other normal hairdryer because integrated with revolutionary turbo ionic and infrared technology that uses negative-irons to dry-up hair faster from the inside-out. It produces low-noise: this hairdryer actually gives-off low noise levels and this mainly because it’s equipped with a great AC-motor coupled with a low decibel-level thus guarding the user from any noise-irritation while blow-drying her hair. It makes hair look smooth and shiny: because the HSI Professional Hair Dryer D-5000 uses ionic-technology to dry-up hair, this will actually help to leave your hair looking smooth and shiny throughout the day while eliminating hair-frizz. An instant cool-shot button: the cool-shot button allows the hairdryer to give-off only cold-air during the drying and styling process thus preventing your hair from getting exposed to excessive-heat which can lead to several hair-complications. A removable air-intake grille (lint-filter): this filter actually helps to protect your hairdryer from over-heating while blowing drying your hair thus ensuring optimum longevity of the hairdryer. Additionally, this lint-filter is removable inorder to facilitate for quick and easy cleanup so that the hairdryer can be kept in good operating condition. An ergonomic handle: the HSI Professional Hair Dryer D-5000 features a rubberized, textured, super-comfortable, ergonomic handle that can be held for extended hours without experiencing any hand-fatigue when blow-drying your hair. A long power-cord: this hairdryer is equipped with 9-foot power-cable that is actually long-enough to let you blow-dry your hair safely from anywhere within your house most especially in the bathroom. In fact, this long-cord also makes the HSI Professional Hair Dryer D-5000 a perfect appliance for use by professional hair-stylists in salons. Several speed and heat settings to choose from: the HSI Professional Hair Dryer D-5000 features 3 speed and 3 heat settings to choose from depending on hair-type when blow-drying hair. This actually makes the HSI Professional Hair Dryer D-5000 a perfect styling-tool for use on different hair-types and hair-conditions. A handy hanging loop: the HSI Professional Hair Dryer D-5000 is designed with a handy hanging-loop that allows the user to easily hang the hairdryer onto anything over the wall like nail as she styles her hair. The handy hanging loop is perfect addition for hair-professional in salons that always have to hang the dryer somewhere when styling clients hair. Lastly, this handy-loop will also facilitate for easy storage of the hairdryer when it’s under usage. A lightweight design: the HSI Professional Hair Dryer D-5000 features lightweight design and this makes it very easy to hold for extended periods of time while blow-drying your hair without experiencing any hand-fatigue. It include 2 styling, diffuser-attachment: this hairdryer actually 2 diffuser-attachments that help directing and concentrating an airflow as you style your hair during the blow-drying process. It is somehow expensive: the HSI Professional Hair Dryer D-5000 is a bit expensive when compared to other professional hairdryers in its range. However, it does a good blow-drying job because it’s equipped with several cutting-edge technologies and it’s even provided with 2 extra diffuser-attachments. 65 cubic meters of airflow per hour. A thermoplastic-body that is Self-extinguishing, shock & temperature resistant. A lightweight design (590 grams). A 9 foot power cord. Made in Italy with the highest-quality. 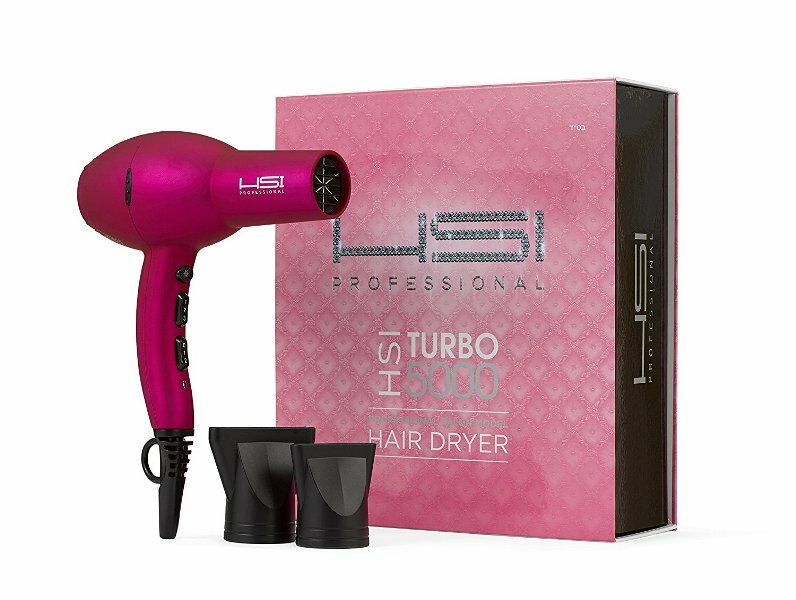 The Turbo Power Twin Turbo 2600 is a great, lightweight and high-performance hairdryer that has been equipped with some of the best features inorder to provide you with an amazing blow-drying experience when at home. In fact, this hairdryer is equipped with a powerful 1700watt AC-motor that is very quiet and efficient when drying-up hair while the inbuilt 4-temperature and 2-speed settings allow the user to achieve a customized hair-drying experience that meets their hair-types. on the other hand, this hairdryer is even equipped with a cold-shot button which dry hair using only cool-air and this actually makes it a great feature for locking in your beautiful curls and waves while the included 2 nozzle-attachments enable the user to dry-up hair faster and to achieve different hairstyles. Additionally, this hairdryer even features a 9-foot power cord that is well-insulated and lightweight inorder to enable the user achieve a more convenient hair-drying experience. The Turbo Power Twin Turbo 2600 Hair-Dryer also features a self-extinguishing, temperature and shock resistant thermoplastic-body that ensures optimum-safety while the removable stainless-filter facilitates for quick and easy clean-up of the air-vents hence keeping this hairdryer operating optimally. All in all, the Turbo Power Twin Turbo 2600 Hair-Dryer is handy, ergonomically-designed and lightweight inorder to reduce on hand-fatigue so that you can be able hold this hairdryer for longer-hours while blow-drying your hair. Fast hair-drying results: the Turbo Power Twin Turbo 2600 Hair-Dryer actually gives of 65 cubic-meters of air-flow per hour and this airflow is fast-enough to get your hair dry in the shortest period of time possible. A durable and powerful AC-Motor: the Turbo Power Twin Turbo 2600 Hair Dryer actually features a professional long-lasting, 1700watt AC-motor that is powerful enough to keep running for several hours while drying up your hair hence making this hairdryer perfect for daily-use. An Anti-overheating device: this hairdryer is also integrated with an anti-overheating device that prevents the internal-components from overheating during operation thus ensuring optimum-safety when blow-drying your hair. Easy to clean air-vents: the Turbo Power Twin Turbo 2600 Hair-Dryer features a removable stainless-steel filter that allows for quick and easy clean-up of air-vents inorder to keep the hairdryer operating effectively and at all times. It includes 2 styling nozzle-attachments: the Turbo Power Twin Turbo 2600 Hair-Dryer is actually provided with a wide concentrator-nozzle attachment that helps in setting the perfect hairstyle while the extra-wide concentrator nozzle-attachment facilitates for fast hair-drying results. A long and convenient power-cord: the Turbo Power Twin Turbo 2600 Hair-Dryer is equipped with professional-length, 9-foot power-cord that is lightweight inorder to facilitate for optimum-convenience when blow-drying your hair around the house. In fact, with this long power-cord you will able to safely use the hairdryer in remote areas within the house like in the bathroom. Its lightweight: the Turbo Power Twin Turbo 2600 Hair Dryer actually features a lightweight body that is only 590-grams and this actually helps to reduce on hand-fatigue when using the hairdryer for longer hours. It provides the user with optimum control when blow-drying hair: the Turbo Power Twin Turbo 2600 Hair-Dryer feature 4-temperature and 2-speed settings that can be easily adjusted inorder to achieve the best hair-drying and styling results but depending on your hair-type. All in all, these heat and speed settings provide you with optimum-control while styling-up your hair. It’s very quiet: the motor of this hairdryer actually produces low-noise levels while providing optimum-power when blow-drying hair. In fact, this hairdryer is very silent whereby it won’t irritate other people in the house or salon with loud noise during operation. A shock and temperature resistant-body: the Turbo Power Twin Turbo 2600 Hair-Dryer features a shock and temperature resistant thermoplastic-body that ensures optimum-safety especially when drying-up hair in risk-areas like the bathroom and lot more. An ergonomically shaped handle: it also features an ergonomically designed handle that is very easy to hold especially when blow-drying hair for longer-hours. In fact, this hairdryer wont disturb you during operation because the control-buttons are positioned on the sides which is a great thing. A cold-shot feature: the cold-shot button actually enables the hairdryer to produce only cool-air when pressed thus protecting your delicate-hair from excessive-heat during the blow-drying process. Additionally, the cold-shot feature will even help to lock-in your beautiful curls or waves during the styling-process. 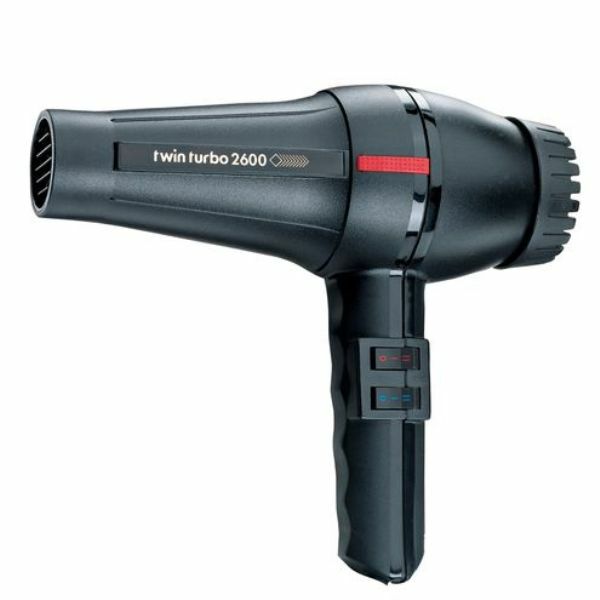 It’s a little heavier and louder than other professional hairdryers: the Turbo Power Turbo Power Twin Turbo 2600 is a bit heavier and louder than most professional-dryers but you also know that it’s not the loudest or heaviest hairdryer. All in all, the Turbo Power Turbo Power Twin Turbo 2600 hairdryer is just moderate in terms of weight and sound. A powerful, durable and quiet 1800watt AC-motor. A Lightweight Design or body. T3 Tourmaline + Ceramic technology. A professional, 9-foot power-Cord with a cord-wrap. The T3 Featherweight 2 hairdryer is powered by a proprietary T3 Tourmaline-Ceramic and advanced SoftAire technology that uses negative-ions and infrared-heat to helps dry-up hair faster while keeping it healthy. In fact, the negative-ions produced by this hairdryer help to eliminate any static while quickly sealing in the hair-cuticles and this actually helps hair to retain its natural moisture, reduces on hair-frizz and even enhances shine within hair. On the other hand, this hairdryer is equipped with a powerful and durable AC-motor that facilitates for optimum performance and it’s even very quiet during operation while the lightweight-body makes it very easy to hold the T3 Featherweight 2 Dryer for longer-hours without experiencing any hand-fatigue. Additionally, this hairdryer features an ergonomically designed/angled handle that provides the user with a more comfortable grip when drying up hair even for longer hours while integrated 2-speed and 3-heat settings enable the user to gain full control of the hairdryer while drying and styling their hair. Likewise, the inbuilt cool-shot button enables the hairdryer to give-off cold-air only during the blow-drying process while the 9-foot power-cord provides the user with optimum-convenience when blow-drying hair in remote-areas like in the bathroom, over the counter (dressing-table) and a lot more. All in all, the T3 Featherweight 2 Dryer will work perfectly for ladies who wish to dry-up hair faster than air-drying while ensuring optimum health. It dries hair quickly and gently: the T3 Featherweight 2 Dryer actually gives of a high-volume of air that has been enriched with T3 Tourmaline + ceramic far-infrared heat inorder to dry-up hair quickly and gently compared to most hairdryers on the market. It helps to dry-up larger sections of hair: the air produced by the T3 Featherweight 2 Dryer actually passes through a wide, cone-shaped passage hence drying-up larger sections of hair faster than never before. It eliminates static and frizz with hair: the T3 Featherweight 2 Dryer produces an airflow that is full of negative-ions which help to eliminate any static and frizz within hair while blow-drying. This will actually help to keep your hair feeling soft, smooth and shiny all day. It helps to keep hair looking moisturized and shiny: the T3 Featherweight 2 Dryer actually uses negative-ions to dry-up your hair from the inside-out while sealing-in the cuticles. This actually helps to retain the natural hair-moisture, enhances on hair-shine and even reduces on hair-frizz. It offers the user multiple styling-settings: the T3 Featherweight 2 Dryer also provides the user with several styling settings which include 3-heat and 2-speed settings. In fact, with all these settings the user will be capable of achieve the best drying and styling results no-matter her hair-type. A cool-shot button: this hairdryer also features a press-and-hold cool-shot button that produces only cold-air when pressed hence helping to set-in your hairstyle while giving it a smooth and shiny finish. An ergonomic, angled handle: the T3 Featherweight 2 Dryer is equipped with an ergonomically-designed, angled handle that helps to eliminate any wrist/hand strain when blow-drying your hair hence making this hairdryer a perfect choice for people who take long when blow-drying hair. A well-balanced, stylish and lightweight body: the T3 Featherweight 2 Dryer features a well-balanced and lightweight body that weighs only 17.6oz thus making this styling-tool very easy to hold for extended periods of time since you won’t experience any hand-fatigue. It includes a wide concentrator nozzle-attachment: the T3 Featherweight 2 Dryer is provided with an extra concentrator nozzle-attachment that helps to direct an enriched airflow over your hair inorder to facilitate for a more precise hair-drying and styling results. A quiet, powerful and durable motor: this hairdryer is equipped with durable and powerful 1800watt motor that is capable of operating for longer hours efficiently and effectively. in fact, this motor is also very quiet whereby it gives-off low-noise levels hence making this hairdryer perfect for use in a home-environment without disturbing other family-members or friends. A removable air-filter: the T3 Featherweight 2 Dryer also features a removable air-filter that facilitates easy and quick clean-up in case the hairdryer gets clogged with dust or other debris. In fact, a clean air-filter enables the hairdryer to operate effectively and efficiently at all times and will also help to increase on the lifespan of the hairdryer. A long power-cord: the T3 Featherweight 2 Dryer is equipped with a long, professional, 9-foot power-cord that allows for convenient usage of the hairdryer most especially in remote areas like the bathroom. In fact, this long power-cord makes the hairdryer perfect for use in saloons by hairstylists. The concentrator nozzle-attachment spins around a lot: the concentrator-nozzle that is provided with this hairdryer actually tends to spin around a lot when using it to blow-dry your hair and this can actually be a bit disturbing for most people. The hairdryer body is not very durable: the body of the T3 Featherweight 2 Dryer is not very durable and this implies that you need to be extra careful when using this hairdryer or else you may end-up breaking it in case it accidentally falls down during usage. It’s expensive: the T3 Featherweight 2 hairdryer is actually expensive when compared with other professional hairdryers within its range. In fact, you may even get a more powerful and advanced hairdryer than the T3 Featherweight 2 Dryer at a lower-price. A powerful and durable 1875watts AC-motor. A durable and ergonomically-designed body with a great colored-finish. Durable rocker switches for adjustment of heat and speed settings. A Concentrator-attachment for pinpoint styling. A Hang-ring for easy storage. Infiniti Pro by Conair 1875-Watt Salon Performance hairdryer that has been equipped with an advanced AC-motor that delivers a powerful airflow inorder to ensure fast hair-drying results and this motor is also durable enough to last for up to 3x longer than the motors found in regular hairdryers. 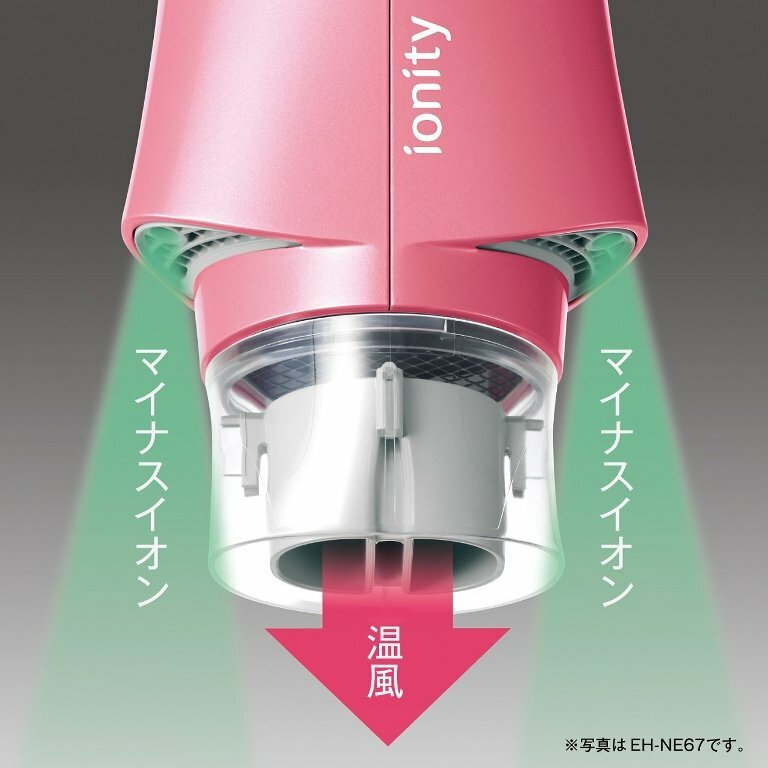 Additionally, this hairdryer has been integrated with ceramic technology that uses infrared-heat to gently dry-up hair inorder to reduce on heat-damage while the ionic-technology helps to dry-up hair from the inside-out and even leaves hair feeling smooth, soft and shiny with 75% less-fizz. Likewise, the Infiniti Pro by Conair 1875-Watt Salon Performance hairdryer features a 3-heat and 2-speed settings that facilitate for custom heat and airflow control while the integrated cold-shot button helps to blow-up your hair with only cool-air which helps to lock in your curls, waves and any other style. On the other hand, this hairdryer features a removable-filter that can be easily cleaned-up inorder to prevent lint buildup inside hence extending the motor-life of this styling-tool. Lastly, the Infiniti Pro by Conair 1875-Watt Salon Performance hairdryer features a concentrator-attachment that allows for pinpoint styling while the diffuser-attachment helps to generate voluminous and curly hair while blow-drying. Faster hair-drying results: this hairdryer is equipped with an amazing 1875watt AC-motor that delivers a powerful airflow which ensures up to 50% faster drying-time compared to other hairdryers within its range. So, with the Infiniti Pro by Conair hairdryer you will be able to dry-up your thick and long hair faster than never before while at home or salon. A removable air-filter: the Infiniti Pro by Conair 1875-Watt Salon Performance hairdryer also features a removable air-filter that thus facilitates for quick and easy cleaning inorder to prevent lint buildup hence extending the motor-life of this hairdryer. Durable rocker-switches: this hairdryer is equipped with durable rocker-switches that allow the user to easily make adjustments to 3 heat-settings and 2 speed-settings thus facilitating for optimum heat and airflow control while blow-drying your hair. A true cold-shot button: it also features an inbuilt cold-shot button which when pressed gives-off a blast of cold-air that greatly helps in setting and locking-in your style. In fact, blow-drying your hair with only cold-air helps to lock-in your curls, waves and other hairstyles. A hang-ring: the Infiniti Pro by Conair 1875-Watt Salon Performance hairdryer is equipped with a hang-ring that is just below the handle in order to ensure easy storage of the hairdryer when not in use. In fact, the hang-ring makes this hairdryer very convenient to use and store whether in salon or home environment. An extra concentrator-attachment: the Infiniti Pro by Conair 1875-Watt Salon Performance hairdryer includes a concentrator-attachment that facilitates for pinpoint styling while blow-drying your hair. A powerful and durable AC-motor: this hairdryer features a powerful, high-performance, 1875watt AC-motor that is designed for professional hair-stylists and salon-use. In fact, this AC-motor is very durable whereby it lasts for up to 3-times longer than any standard DC-motor. It reduces on hair-frizz by 75%: the Infiniti Pro by Conair 1875-Watt Salon Performance hairdryer actually generates negative-ions which help to neutralize positive-ions over hair and this helps to flatten and seal the hair-cuticles hence reducing on hair frizziness by up to 75%. Reduced heat-damage inorder to keep hair healthy: this hairdryer features a ceramic-coating on the outlet-grille which actually results into infrared-heat while blow-drying. In fact, this infrared-technology provides a uniform and gentle heat inorder to reduce on hair-damage thus keeping your hair looking shiny, smooth and healthy. A lightweight body: the Infiniti Pro by Conair 1875-Watt Salon Performance hairdryer weighs only 2.55lbs and this actually makes it very lightweight and easy to hold for longer hours without experiencing any hand-fatigue. This makes the Infiniti Pro by Conair a perfect styling-tool for use in salons where hair-professionals take longer-hours styling hair of different people. It can be used on different types of hair: whether you have thin or thick hair and short or long hair, the Infiniti Pro by Conair 1875-Watt Salon Performance hairdryer will perfectly work for you because its equipped with 3 heat-setting and 2 speed-settings to choose from inorder to work on different types of hair whether at home or salon. An Ergonomic handle: the Infiniti Pro by Conair 1875-Watt Salon-Performance hairdryer features an ergonomically shaped handle that feels very comfortable in hands thus making this hairdryer perfect styling hair for extended periods of time because it eliminates any hand-fatigue. A durable body with a great finish: the Infiniti Pro by Conair hairdryer features a durable body that has been coated with a colored-finish that really looks great and amazing. 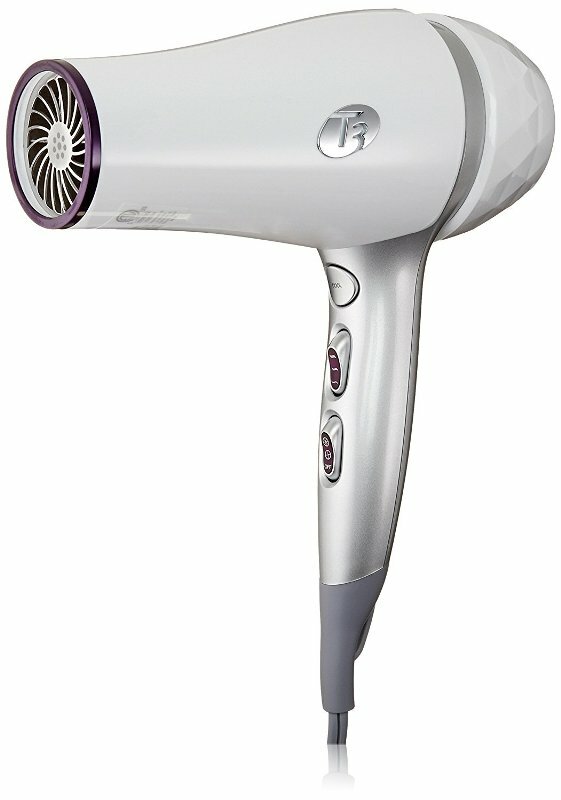 In fact, this hairdryer will add some style and light to your salon or home-bathroom because it looks really beautiful. It helps in the generation of voluminous hair and curls: the Infiniti Pro by Conair hairdryer includes a diffuser-attachment that greatly helps in the creation of voluminous-hair and soft-curls while blow-drying your hair. A slightly shorter power-cord: the drawback about the Infiniti Pro by Conair 1875-Watt Salon Performance hairdryer is that it features a slightly shorter power-cord when compared to cords found on other professional hairdryers within its range. In fact, the power-cord of the Infiniti Pro by Conair hairdryer is about 6-foot long and this length may not be enough for people who prefer styling hair in remote areas like the bathroom, over the table/counter and a lot more. This marks the end of this detailed review on the ‘’Best Low Noise Hair Dryer’’ – 2019. Bookmark this post for future reference. Cruckers is a participant in the Amazon Services LLC Associates Program, an affiliate advertising program designed to provide a means for website owners to earn advertising fees by advertising and linking to amazon.com, endless.com, smallparts.com, myhabit.com, and any other website that may be affiliated with Amazon Service LLC Associates Program.